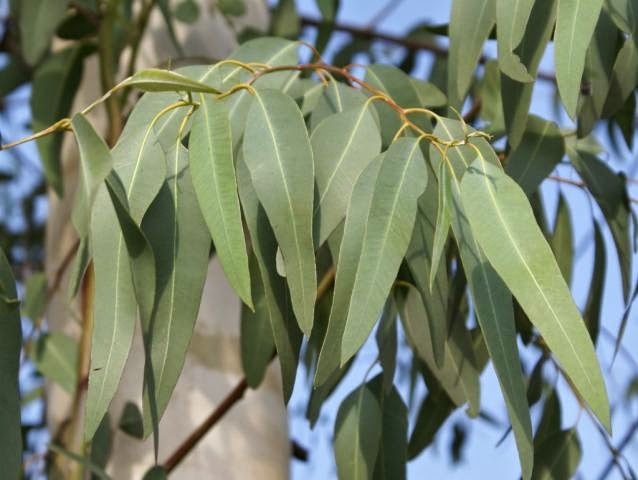 The eucalyptus is a flowering plant which belongs to several genders of plants. It can be a tree, a shrub, and also a plant of the myrtle family. It is common in Australia, but it can also be found in other parts of the world, such as Indonesia and Guinea. However, the Eucalyptus deglupta is more common, being found also in the Philippines. The eucalyptus is similar with the plant named eucalypts. They are also known as gum trees, because they leak a gummy substance when their bark is cut. The eucalyptus is known for its beneficial properties for the human body. Many creams and medicines are made from that, being beneficial especially for the skin.